Field support engineers and technicians provide on-site support for network connections and for detecting flaws related to hardware, networking, software, configuration, and inconsistent power supply. The engineers and technicians must support the installation tasks, including testing, documentation, and setup. Field support specialists also take part in meetings and come up with suggestions to improve the supporting services. How Can Field Support Professionals Help? Telecommunication service providers invest in technology because they expect to get the best returns on investment (ROIs). To do this, they ensure that routers, servers, and networks are working. If any service provider wants to deliver reliable services round-the-clock in the competitive IT environment, it must continuously develop its technology to meet the ever-growing demand. Besides, complex technologies and networks need to get routine maintenance checkups. To keep the networks up and running is difficult for service providers, so more businesses are increasing their dependency on cloud-based services. Most of the technology challenges faced by service providers arise because they are not able to provide adequate field support for networks. Hiring full-time field support technicians are expensive and not viable for many businesses and organizations. With the rapid expansion of networks, maintenance and repair of connections increase the load on service providers. 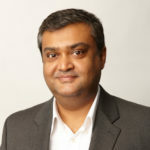 It, therefore, makes it mandatory for enterprises, which depend on connectivity, to opt for service level agreements (SLAs) with their service providers to ensure uninterrupted uptime and connectivity for their networks. In this evolving landscape, even a small-time service provider offers communication networks to the rural areas, besides the cities. However, as these systems reach into remote or global areas, service providers cannot afford to depend on local or in-house field support engineers. Vendors and service providers have capable engineers who can be asked to travel to any part of the country. However, travel consumes considerable time and resources. 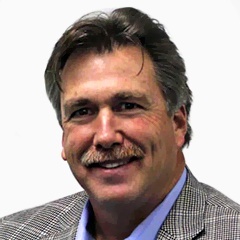 Also, OEMs, system integrators, and service providers are setting up new connections that cannot allow any breaks in communication because downtime slows down their clients’ businesses. For example, when the server of a company goes down, orders are not processed and shipped, decreasing the output from its employees. To tackle these problems, service providers must have the right skilled engineers available for the wide variety of networks and their locations. The complexity of networks and sourcing of relevant talent makes it difficult for service providers to keep their clients happy. To accommodate all the planned and emergency maintenance, service providers must use freelance field support services when needed. Service providers can solve these problems cost-effectively by finding engineers with the appropriate skills and hiring their services through mobile and web apps. The path-breaking platform Fieldengineer.com houses the most exhaustive database, listing more than 35,000 freelance field engineers from 170 countries around the world. Service providers can find and use the talent they need, either globally or locally. Having been champions in telecom, we know how hard it is to build trust and establish rapport with the customers, especially for field support services. 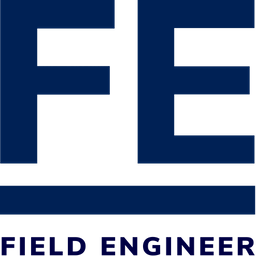 For the reasons cited above, we have developed the Fieldengineer.com platform, which helps service providers find the freelance field support engineers they need. What are the advantages of employing freelance support engineers? Freelance supporting engineers must do a good job every time in the field to be retained by their clients. How about a free demo? contact us, and we will show you how our platform succeeds.